While we were at Ikea I picked up a few food items - including this simple packet of biscuits. 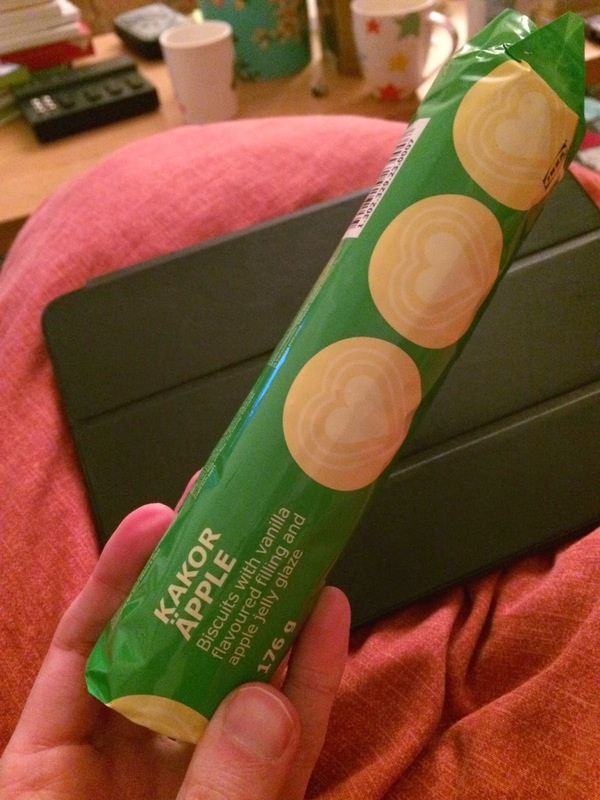 I'm not sure what KAKOR is but I understand Apple and wondered what these variation on our own Jammy Dodgers would be like. They are far less crumbly than the British style ones and the jam is almost set and snappy. It makes a much different style biscuit and then we have vanilla creme around the edge too. There are many fun ways to eat this too, nibble the edges - take it apart - dunk it - etc. but the apple flavour really isn't that noticeable. I can eat three or four of these without really noticing and would happily add more of these to the shop when I'm next forced to require flat-pack furniture.